I have written in the past about the efforts to save the Loveland Feed and Grain building.Novo Restoration, the group trying to save the building, sponsored some tours inside the building this last weekend and I took the opportunity to climb through this hulk, dragging my kids along for the ride. 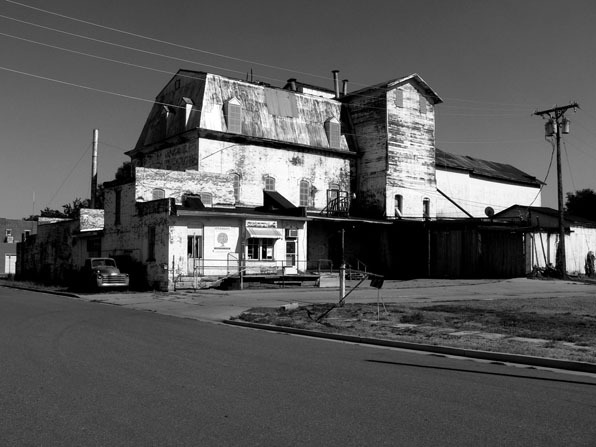 The building was used initially as a flour mill and later as a grain storage facility. Surprisingly, its massive exterior bulk did not hide an equally massive interior space. 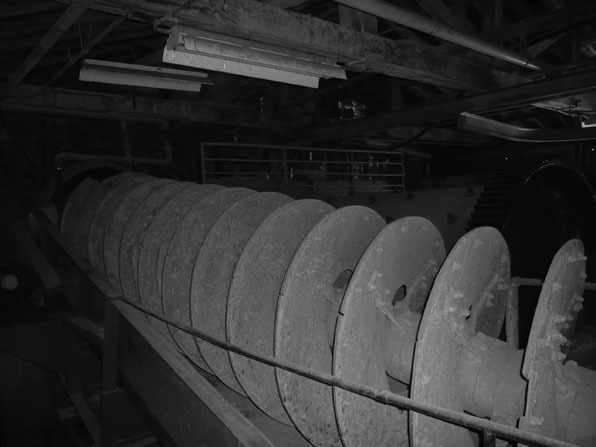 The inside of the building is a labyrinthine collection of bins and chutes, vertiginous stairs and rusting augers. 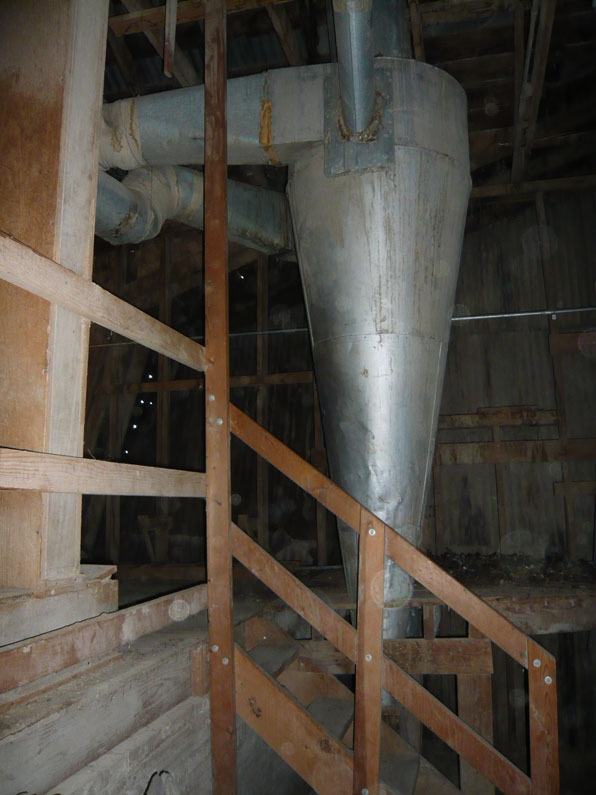 The walking space between the bulky wooden beams and bins was minimal as befits a pre-OSHA era building. The inherently explosive nature of so much dust and milling makes the continued existence of this kind of building a rarity. There was rudimentary safety system with a series of dead-man pull wires running through the various rooms and process rooms, but the ability to quickly navigate out of the wooden maze in case of emergency makes you think the safety system was there more for the equipment and building than its inhabitants and operators. All of this is to say that the plans for renovating this building and finding new uses for it will require significant, drastic changes to the interior. This is also the case with the City of Boulder's Valmont Mill buildings. 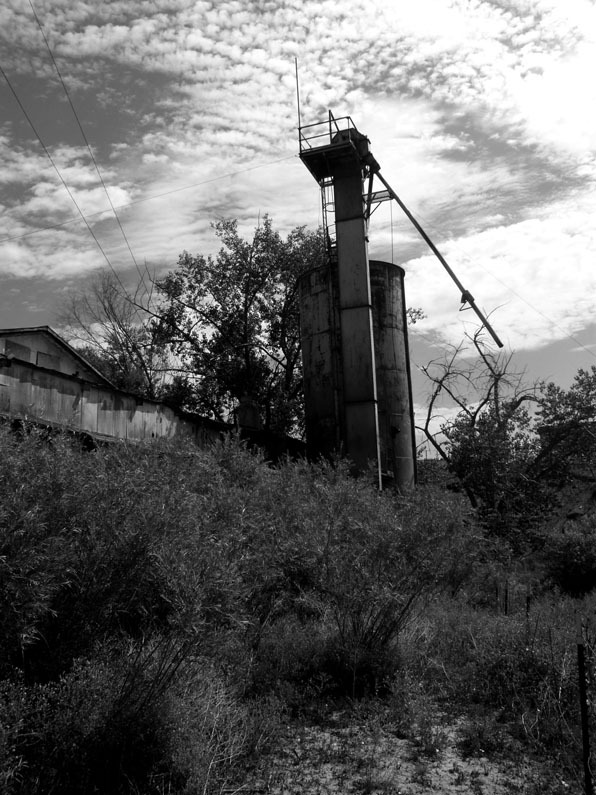 Both of these buildings were formed to execute industrial processes that are largely extinct. Preserving the shell of the building without its inner workings seems like hollowing out its past, leaving only a slight echo of its once vibrant past. However, a cursory tour of the interior of these places quickly demonstrates their near-incompatibility with anything approaching public uses. Should we mothball these places, equipment and all and allow only restricted access? Should our desires to preserve the past include spending public money to save buildings that, if made safe for the public, no longer exhibit the vitality of the place? Are we preserving what the building looks like or what it is? I love the idea of making art and exhibit spaces, black box theatres and performance venues in these structures, but to do so may eliminate so much of the buidling's essential inner workings that we ending up preserving the building shell like so many oddities in formaldehyde-laden jars.